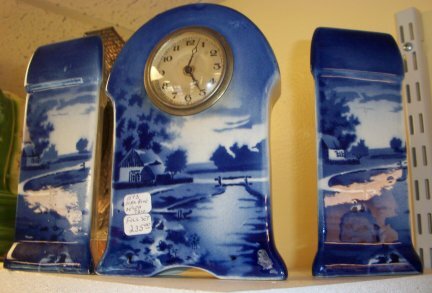 This is a trio set of clock and two end vases. 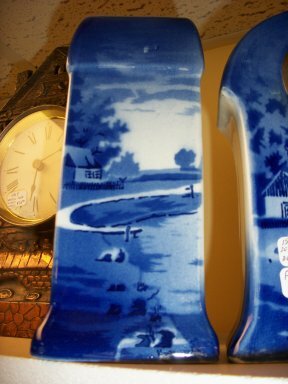 The works are unmarked and the whole clock and vases are in excellent condition. 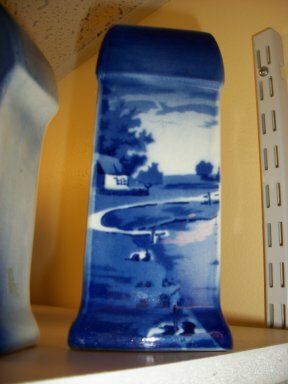 It is using Delph blue paint. The works are of a balance wheel construction. 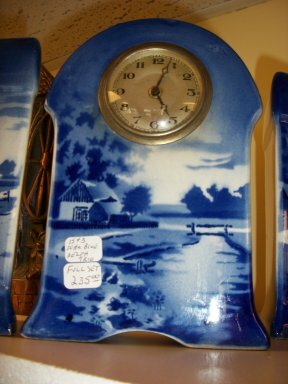 Close up view of clock. Close up view of the left side..
Close up view of the right side.